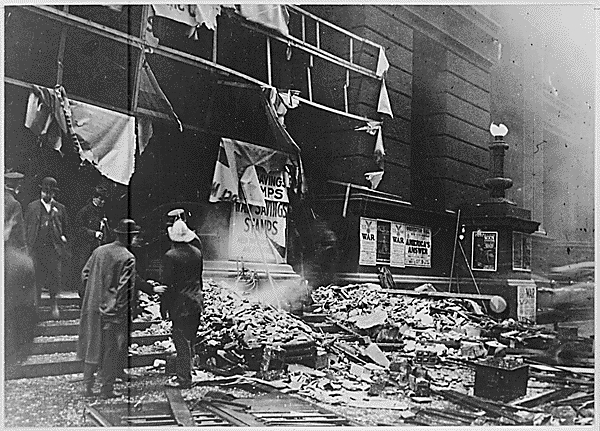 The wreckage of Chicago's Federal Building after the explosion of a bomb on September 5, 1918 which killed four people. The bomb was allegedly planted by the Industrial Workers of the World (IWW) as a reprisal for the sentencing of the union's leader, "Big Bill" Haywood, and 94 other members for seditious activities. National Archives and Records Administration, ARC Identifier: 533464.